As a professional manual therapist, earning continuing education units may be a requirement in order to renew and maintain your license to practice. Even for those practitioners who do not live in an area where continuing education is a necessity, taking steps to expand and refresh your skill set on a regular basis can be one of the best routes to lasting career success. As you search for CEU courses for massage therapists, one of the most important aspects to be looking for is quality. The other key factor — and one that goes hand-in-hand with high quality — is to find massage courses that will allow you to attract and keep more clients by teaching you to provide an in-demand service. This is where Myoskeletal Alignment Techniques (MAT) come into play. MAT is an in-demand modality, and its trained practitioners can expect to see a boost in new bookings, repeat clients, referrals and other markers of increased career success. By signing up for MAT CEU courses for massage therapists, bodyworkers can attain these skills for themselves, along with all the associated benefits of practicing MAT. For those who are unfamiliar with the MAT modality, this is an all-natural, hands-on method of manual therapy that makes pain relief, pain management and pain prevention its primary goals. Firmly planted within the scope of practice for massage therapists, MAT gives clients the chance to find a solution to their chronic pain that does not involve invasive measures or prescription medications. In many ways, when you sign up for MAT CEU courses for massage therapists, you are signing up for an education in pain and the best ways to alleviate it with manual therapy. Clearly, this skill set is much-needed among today’s population of clients, so many of whom are suffering from some kind of chronic pain. These clients are more than willing to pay the practitioner who can actually untangle their troublesome pain patterns, rather than simply soothing the symptoms of those patterns for a short period of time. As these clients walk away from the MAT table feeling better for the first time in a long time, the word-of-mouth buzz they create about your business can lead to more appointments, as well as new referrals from the happy client’s medical provider. For the manual therapist who is looking for a clinically oriented modality that he or she can pursue to the highest level of career success and expertise, MAT has it all. The list of MAT CEU courses for massage therapists is long, and each one of these classes and workshops delivers top-notch quality and detailed training in MAT protocols for pain management. You can choose to learn these valuable skills through any one of the MAT online massage courses, home-study programs or in-person workshops. 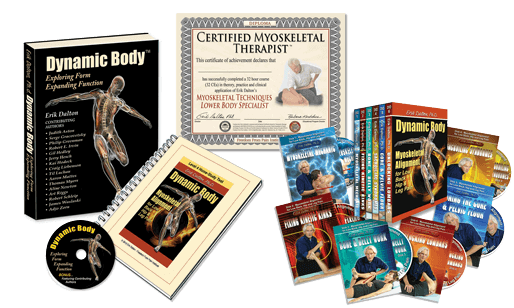 With each course you complete, not only will you be earning certification as a myoskeletal therapist, but you will also be advancing your pain-management skills and expanding your overall expertise.